Wonderful that you got to see the young lady in her dance environment, and that she so appreciated your presence and understood that you cared for her, as she apparently cared for you. 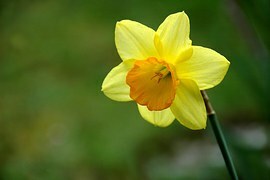 Wishing you a wonderful day tomorrow, a lots of daffodils to enjoy and write about. Touched my soul as all your writings have done. Thank you.